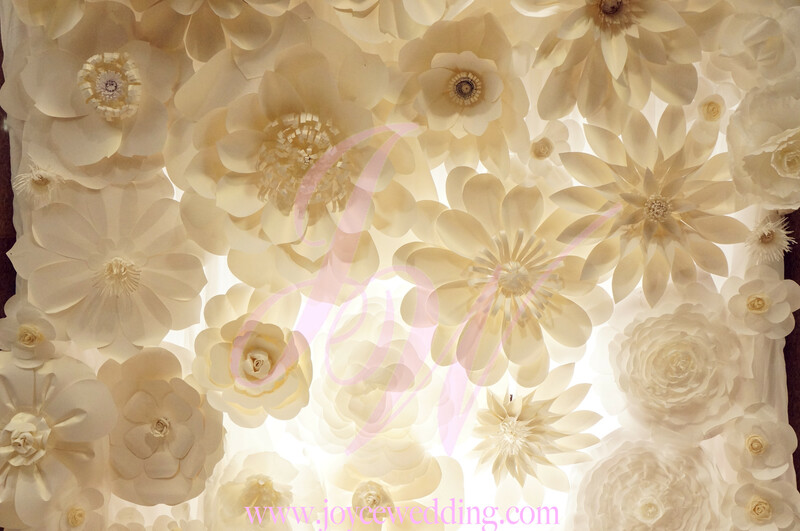 This #gorgeous #backdrop of #delicate #handmade #paper #flowers is a #unique and #modern focal point for an #elegant #wedding setting. By adding up-lighting, it #illuminates the entire #backdrop creating a #glowing effect, perfect for creating a #whimsical ambiance. To add a little touch of #fun, you can change the #classic #white #lighting to coloured #LED #lighting, giving the right amount of #colour and pizzazz!